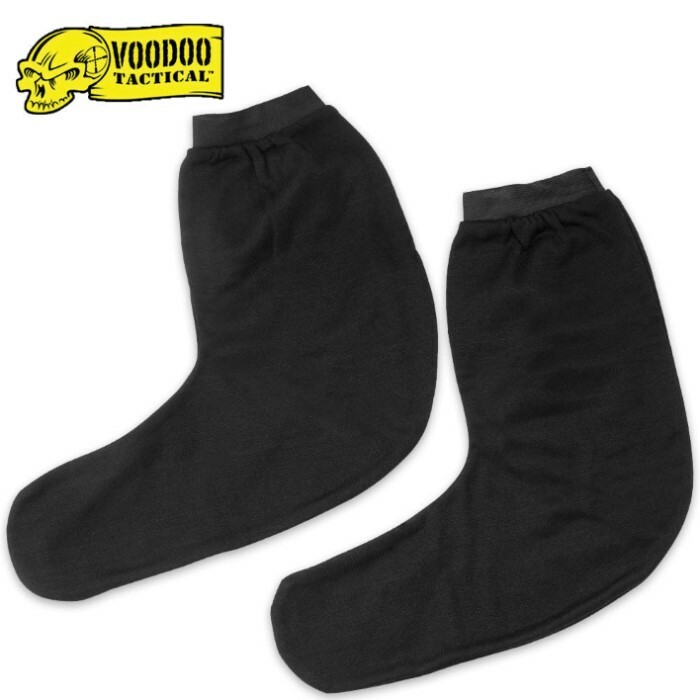 Voodoo Thermal Bootie | BUDK.com - Knives & Swords At The Lowest Prices! These thermal booties are constructed of 100% Polypropylene with a smooth outer cover, a warm fleece inside and an elastic top to keep each one in place. Use these booties as boot liner, sock or sleep sock. One size fits all.